Go for the win! Achieve excellence and be better than you've ever been! In his years as a professional ice-skater, Olympic Gold Medalist Scott Hamilton learned to embrace the mind-set of working hard to "beat" the competition. But it seems competition has gotten a bad rap these days. We've bought into the belief that it is unfair to participants to rank performance. Yet competition is in fact a good thing because it's about working toward excellence. Finish First is a wake-up call for business leaders, entrepreneurs, spouses, parents, and even students to stop settling for mediocre and begin to revitalize their intrinsic will to achieve excellence and go for the win. Most of us feel we were made for something more, but we're often afraid to allow ourselves to be competitive because we think our finishing first might somehow rob others of their chance to shine. This book encourages the hidden potential, the champion within all of us, to come out—which eventually brings our family, marriage, career, business, and the world around us the greatest possible good. For more than two decades, incomparable figure skater Scott Hamilton has earned the admiration and won the hearts of people everywhere. Now, in "Landing It", Scott Hamilton shares a lifetime of reaching for the stars, and always beating the odds. He vividly recounts the highs and lows, the victories and defeats, of his remarkable life and career, including his brave battle against cancer and triumphant return to professional skating. With stunning candor, he offers a rare glimpse inside the world of skating superstardom. 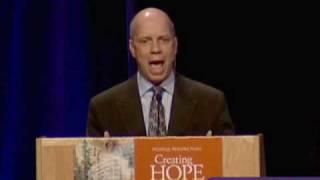 Scott Hamilton is the living example that "good guys CAN finish first!!" He is an Olympic Champion, television broadcaster, philanthropist, motivational speaker, author, husband, father, cancer survivor, and eternal optimist. In 1984, Scott captured the hearts of millions of viewers worldwide with his incredible Olympic gold medal-winning performance in Sarajevo. Since then he has entertained millions more with his exciting performances, complete with backflips, artistry and humor. Considered one of the greatest male figure skaters of all time, and figure skating's voice of authority in the U.S., Scott has spent the last 30+ years providing his infectious analysis of national and global skating competitions. He also founded Stars on Ice, in which he performed for many years and which is still touring with other celebrated skating champions today. 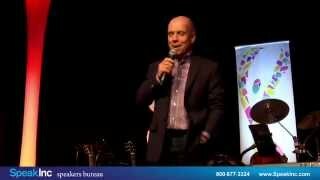 Following his mother's passing from cancer and his own highly publicized survival of cancer, Scott launched the Scott Hamilton CARES Foundation (Cancer Alliance for Research, Education and Survivorship) with a mission to improve cancer patient survivorship by supporting world class cancer research and the highest quality patient treatment and care. The Foundation supports two cancer education websites and a patient mentoring program, as well as spearheading nationwide initiatives, including Skate to Elimin8 Cancer to raise money to "turn cancer upside down". In 2014, he founded the Scott Hamilton Skating Academy, in partnership with the NHL's Nashville Predators, at Ford Ice Center in Antioch, TN to rebuild figure skating from the ground up. His programs offer fresh and fun ways to help students fall in love with skating, like he did as a child. He can frequently be found coaching Learn to Skate and Advanced students, delighting in the fact that skating in Nashville is quickly becoming something whole families enjoy doing together. A celebrated author, Scott's two books, Landing It and The Great Eight, How to Be Happy (Even When You Have Every Reason to be Miserable), have both earned critical praise. His third book, Finish First: Winning Changes Everything, was released on February 6, 2018. Scott serves on the Board of Directors for Monroe Carell Jr. Children's Hospital at Vanderbilt and Provision Center for Proton Therapy. He's an active supporter of Special Olympics International, Second Harvest Food Bank of Middle Tennessee and Best Buddies. He lives outside of Nashville with his wife Tracie and their four children. Scott has been successful in many areas of life — figure skating, entrepreneurship, philanthropy — but he didn't get there by settling for mediocrity. Somehow many of us have fallen into the belief that competition is bad — that finishing first robs someone else of their chance to shine. What it actually means is we have committed to pursuing excellence. Whether Scott is earning an Olympic gold medal for figure skating, fighting his fourth cancer diagnosis, or starting a nonprofit, Scott is committed to pursuing excellence and living his days to their fullest potential. In this speech, he will inspire business leaders, entrepreneurs, and even parents and students to reject average and go for the win in every part of our lives — not for ourselves, but to bring the greatest possible good to the world around us. True greatness can only be achieved by a fierce commitment to going after it with everything you've got, no matter how many times you're knocked down. It means rejecting apathy and staying hungry — refusing to settle for less than excellence. Scott's life can be defined by a voracious appetite for greatness. Despite the seemingly insurmountable roadblocks he's endured, he stayed focused, rallying after every setback to take on the next challenge. Scott has an insatiable spirit when it comes to pursuing the best life has to offer, and he's passionate about encouraging others to uncover the same attitude within themselves. 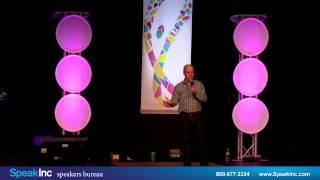 In this speech, Scott walks audiences through the extreme highs and lows of his story — from his days as an Olympic gold medalist figure skater to his four battles with cancer — letting them in on the secrets of what it takes to cultivate that voracity of spirit and keep going, even when the obstacles' shadows loom large. His kind heart, keen wit, and distinctly competitive mindset will inspire audiences to harness life's most trying seasons to spark a journey toward something great.